Now what's the fun in having one of the most famous and widely played gaming franchises out there, like Microsoft does with Halo, if you don't provide an exclusive mobile version of the newest edition for your own mobile OS. That's right, Windows Phone 8 scored an exclusive on Halo: Spartan Assault, and the game will return to the computer for the first time in a long string of editions come July, too. Users with Windows 8 or WP8 will be able to play the new Halo, with the events' chronicles placed somewhere between Halo 3 and 4. In line with the times, Spartan Assault will be available as a simple app download in the Windows Store. The game will “dive deeper into the backstory of the Human-Covenant wars,” and you will have 25 missions to play as Commander Sarah Palmer and Spartan Davis. All the competitiveness of Halo 4 and Waypoint is here, with daily and weekly challenges, and the ability to earn experience points, signage and so forth. As for logistics, the game is optimized for playing with a keyboard/mouse combo, but is also the first Halo made for touchscreen too, where available, and will cost just $6.99 for each platform - Win 8 or Windows Phone 8. Far cry from the console prices, that's for sure. With millions of franchise fans worldwide, Microsoft and 343 Industries today revealed an all-new way for gamers to experience "Halo;" this time, you can do it on Windows 8 devices. 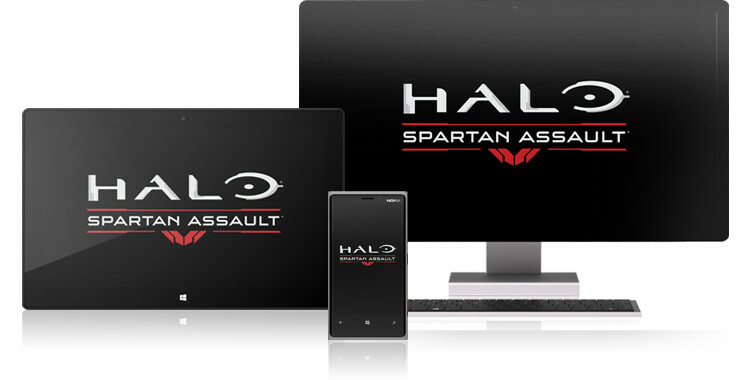 Available this July for $6.99 ERP1 only on Windows 8 and Windows Phone 8, "Halo: Spartan Assault" is the first top-down action shooter that brings a "Halo" video game to touch-based devices. 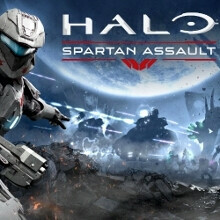 Developed by 343 Industries in conjunction with Vanguard Games, "Halo: Spartan Assault" provides an accessible, pick-up-and-play experience for fans and newcomers alike. Set between the events of "Halo 3" and "Halo 4," "Halo: Spartan Assault" explores the first missions of the Spartan Ops program and dives deeper into the backstory of Human-Covenant wars. Play through the eyes of either Commander Sarah Palmer or Spartan Davis stationed aboard the UNSC Infinity as they fight in never-before-seen battles against Covenant forces. For fans who already have a prospering Spartan career aboard the UNSC Infinity, "Halo: Spartan Assault" lets you earn experience points (XP), all-new Achievements, and emblems for your "Halo 4" Spartan, with additional integration features available after launch. In addition, 343 Industries has teamed up with Dark Horse Comics to create "Halo: Initiation," 2 a 3-part comic series which reveals the story of how Commander Sarah Palmer became a Spartan-IV and leads directly into the exciting missions of "Halo: Spartan Assault." NOVA is already on the way/comfirmed to be coming to WP if not mistaken. Microsoft knows our weakness...HALO !!!!! WP is gaining market share, and getting apps and games. Keep it up like this and add more features to WP quickly then i will get Nokia Lumia from my next upgrade. Its like having your clothes stored in your toilet and not in wardrobe itself... My next buy will definitely be a lumia but MS has to do better than this. One thing I don't like about WP Store is that most apps and games aren't free, you need to buy it. But nevertheless, keep em' coming MS! Finally!!!! To have a mobile OS, and Xbox live integration and ignore your most beloved and profitable franchise is absurd! I've been waiting for me to do this. And I'm happy its not a first person shooter. Touch screens just aren't suited for it. They work but the controls are always a hindrance. This however looks, and sounds great! Can't wait for it. Finally they have a game that can draw significant attention. Now they need to advertise the hell out of it on tv, and online. Last time Microsoft pulled a stunt like this was with Vista. They made Halo 2 Vista exclusive to try save it and help keep Vista afloat. Hackers made it possible to play it on XP. Look at Windows 7. Such a gem of an OS and they didn't try to make any exclusives since it didn't need any. So i take it that Windows 8 isn't doing well. MS is trying to herd us like a flock. Its extremely sad Nokia is tied with MS. Such contrasting companies. I really really want to get a Nokia 820 but at the same time, don't want to encourage MS.
You don't want to encourage them to do what? Make great games for the platform that they developed? Give people a reason to jump to their platform? Are you really complaining about them trying to leverage themselves with the products that they spent billions on? Its funny that you are wanting to get a L820 but in the same manner have people believe you are serious about the platform. if you look at the "contrasting" companies you would see that's its best to have the ying/yang versus two companies that are exactly the same..
You're comparing desktop OS to phone OS... Not a very fair comparison if you ask me. True. Just dissatisfied that MS trying to lure people with these exclusives instead of rectifying some of the quirks in the platform through updates and how they don't keep us in the know how. I bought my WP7.5 device just a few months before they said they wouldn't support it any longer. There is a list of problems with WP7.5, that i see, haven't been rectified yet despite user requests. Yeah, that part really sucked. I remember there was once when I was hooked on Samsung Omnia... but I'm pretty glad I held off all those time and went with an Android after. If I went with that Omnia, I would already spent so much money on phones. It's really too bad that MS never caught on with mobile OS until now. I fell for that Omnia. That's why I'm down to try a WP device. I love HALO series and I knew something like this was going to come along. I just don't want to spend money on getting a WP device, because I'm so heavily invested in Android already. But hey, a free phone come along, and I'll take it. I can't wait to get this on my 920.
the graphics is awesome..more games for windows phone.UP WINDOWS PHONE!!! UP LUMIA!! !